Internal Communications Tools To Up Your Internal Comms Strategy 2019! Internal communications tools and trends are constantly changing, especially when it comes to managing a diversified workforce. In this blog, we’re examining modern internal communications tools and trends so that you can effectively communicate and keep employees engaged as workforces change and new disruptive trends emerge. Gone are the days when employees worked in an office space from 9 am to 5 pm. Today, the norm is for organizations to employ professionals from all over the world, working across multiple locations, hours, devices and even different time zones. The workplace has diversified intensely, and with it brings the need for digital work environments. In order to remain efficient and productive, it’s essential that companies introduce workplace strategies that focus on improving collaboration and communication. Enabling employees to work as a team across different locations, environments, and devices. With the changing landscape in organizations both large and small, communicators must find new ways to create effective internal communication channels with employees. The combination of current technologies and the introduction of new tools focused on collaboration can break down communication barriers and transform the employee experience to promote efficiency, growth, and innovation. Let’s take a look at a couple of disruptive internal communications tools and how they’re impacting communicators in 2019. To keep it simple, an intranet is basically an internal website that helps employees get things done. It’s a platform that gives employees authorized access within an organization and is mainly used for internal communication and collaboration. Modern intranets even offer content management system that makes it simple for communicators to manage the platform. More and more large-scale companies are favoring intranets for their ease of use and adaptability. It also allows remote workers and employees working from different offices to work more collaboratively and achieve aggregate goals. If it’s difficult to communicate to employees important company announcements or news. When departments are experiencing communication breakdown with employees. If there’s a need to reduce excessive documentation and store important information in one place. 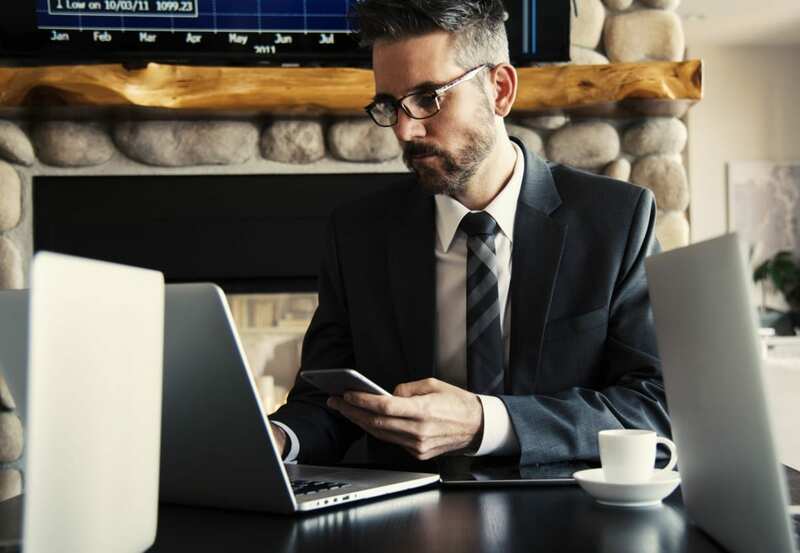 The modern workplace is buzzing with endless connectivity, and the greatest way to engage with employees in a low-cost and broad scale measure remains email. Not only does email represent permission-based communication, if used effectively it can prove to be more useful than other internal communications tools such as intranets or instant messaging apps. Email can be great for dispersed teams when you want to share an important message from the CEO or just share weekly updates with your different employee distribution lists. 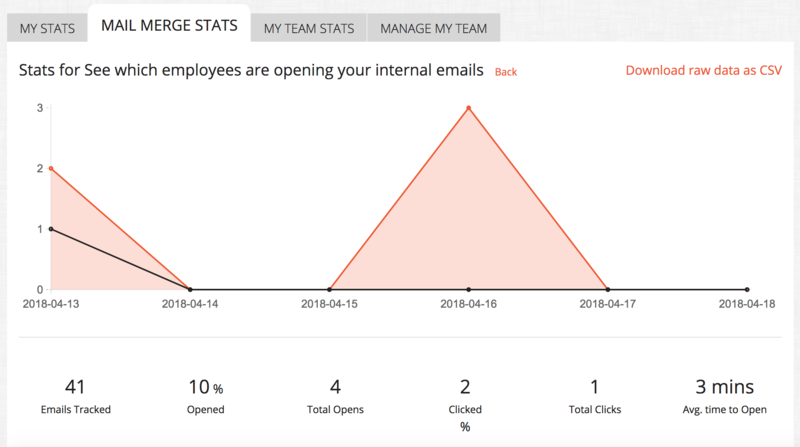 Internal Communicators can now also effectively measure email as an internal communication channel with ContactMonkey’s Internal Communications email tracking solution. It’s a proactive distribution channel – companies can instantly share important company-related news that directly affects employees and their jobs. Employees take email seriously. If it’s landed in their inbox, they know it’s important enough to read. 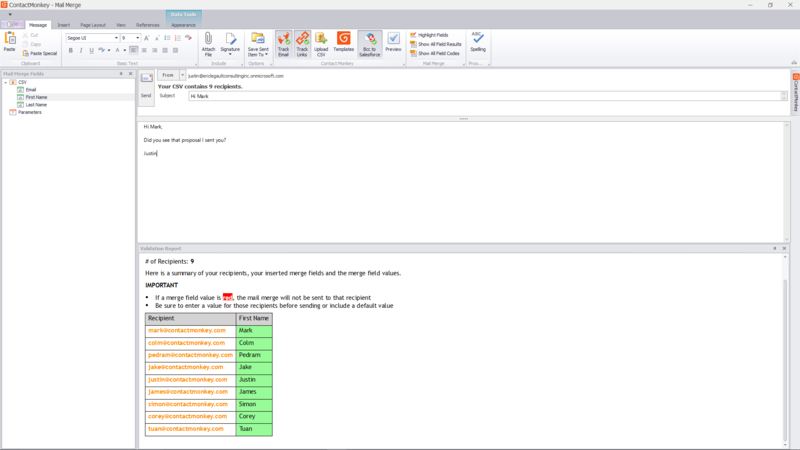 Our internal email tracking tool will help you create, send and track personalized internal emails all from within Outlook using your existing Outlook distribution lists. 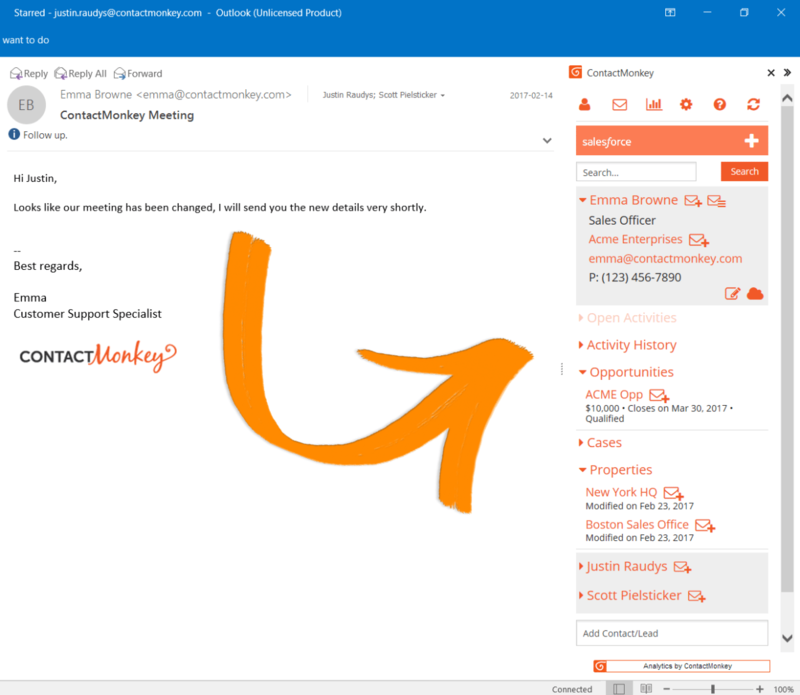 ContactMonkey seamlessly integrates into your Outlook inbox so you stay where you work. Create responsive HTML email templates with our drag-and-drop email template builder and send directly from your Outlook inbox using Office 365. Collect real-time feedback from employees by adding pulse surveys, social reactions, star ratings, Like buttons and more to your employee newsletters. 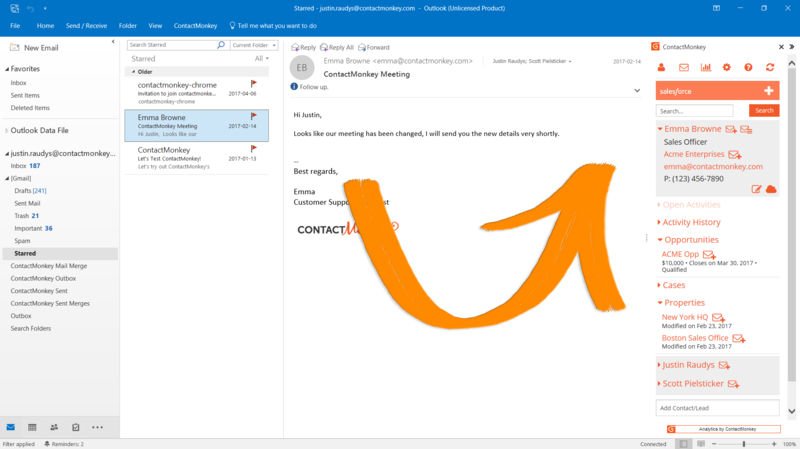 Send personalized emails, straight to your Outlook distribution lists. Easily create personalized employee emails within the subject line or body copy no matter if you’re sending to 20, 200 or 1000’s of employees. 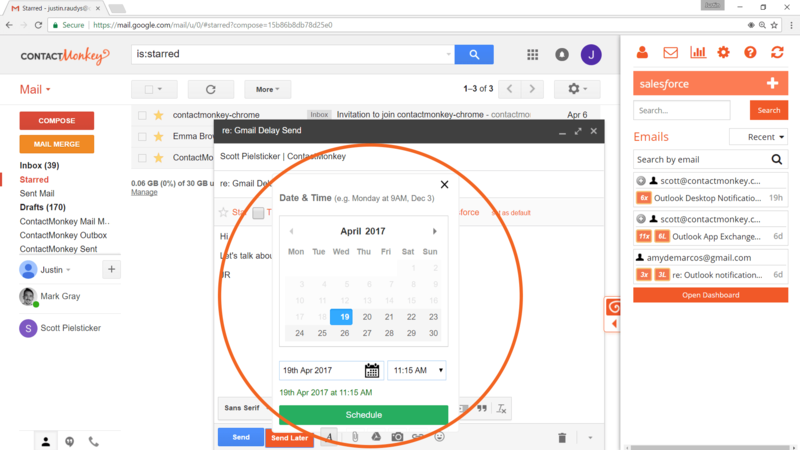 Use dashboard analytics and detailed email metrics to improve email subject lines, messaging, links and sending times to boost employee engagement rates. One of the best internal communications tools for collaborative work is instant messaging. With the rise of remote work, and a high-dependence of cross-functional teams, it’s no wonder that instant messaging is a leading communication tool in today’s workplace. With the rise of platforms such as Slack and Jostle, busy employees and managers can instantly connect and collaborate on multiple projects. Instant Messaging platforms help teams work together and reduce dependency on more traditional communication platforms. Teams need to instantly catch up on important discussions, updates, and status of projects. Although forums may be old-school, they are definitely making a come-back as one of the best internal communications tools. Forums provide modern workplaces a vital advantage – open communication for employees, managers, and even executive leadership. Not only can forums allow open discussion on any topic (with moderation), it can also help disseminate knowledge among employees, while effectively archiving organizational information for reference. Leadership wants to create an open communication channel between employees and management. The organization wants to facilitate knowledge sharing. You are seeking to compile a crowd-sourced reference for company-related news and information. We all love reading blogs, so why not have a company blog that employees can access to experience fast and informal ideas and information relating to their job and/or their organization? Sharing knowledge about important company-related news and information in a fun and interactive way. Creating a searchable and permanent archive of articles, knowledge and expertise. Are there other disruptive communication channels that you use at your organization? Let us know in the comments or tweet us! 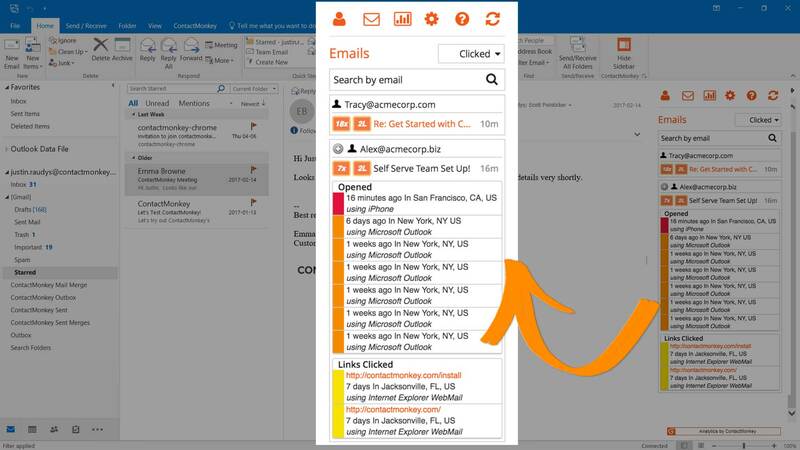 Do you want to start tracking your internal emails from Outlook? Book your personalized demo today to get started with Internal Communications Tracking!